Instrumentation: wind orchestra & Choir (SATB) Ad lib. Click HERE for Scoreplay: watch the score and hear the music! Sansa Kroma (Little Hawk) is a happy, buoyant melody familiar to the playgrounds of Ghana. While the children sing, a rock is passed around the circle to add to the kids’ fun. The song Khuluma (Speak) was made famous by South-African singer Miriam Makeba. It is a story from the Townships of an unwanted suitor who is rebuffed by a woman whose husband has not yet returned from his job in the city. When the husband returns, he tells the visitor to stay away from his beloved. Ilanga libuya, ilanga liyaphuma (The Sun Comes, The Sun Rises) This is a paean, a song of joy in the Zulu language to the promise of a new day. is a traditional Zimbabwean Ndebele tribal song, delivered in call-and-response style. Male migrant miners used to sing this song. It became so popular in South-African culture that the song is often referred to as South-Africa’s second national anthem. The South-African soccer team sang Tshotsholoza as they charged onto the field of play for the opening of the 2010 FIFA World Cup in Johannesburg. 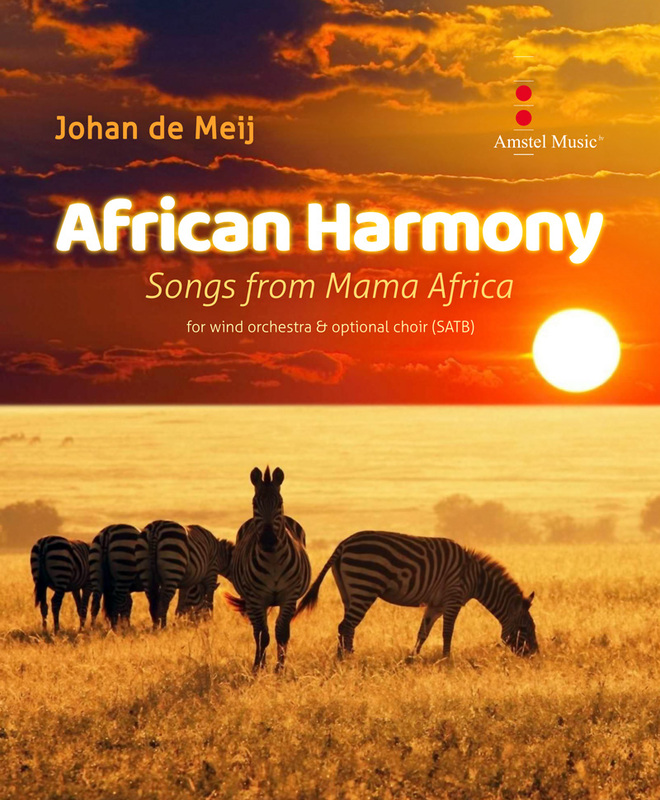 African Harmony was commissioned by Richard R. Fischer, Professor of Music at Concordia University, Chicago.